Americans deserve a government that mirrors more than the Mayflower. Gerrymandering is a disgraceful national tradition that should have no place in our electoral system, irrespective of the political party in control. It doesn’t take a constitutional scholar to recognize that this isn’t how democracy is supposed to work but, with a case from my home state of Wisconsin pending before the U.S. Supreme Court, that's exactly who is going to decide whether our representative democracy will work for everyone, regardless of political affiliation or racial distinctions. Both political parties have engaged in it over the years during the redistricting process but, most recently, gerrymandering has become an effective tool in the GOP’s nationwide campaign to suppress the votes of their opposition. Republicans, for instance, took control of approximately 17 seats in Congress in 2016 solely through gerrymandering according to analysis from the Brennan Center for Justice, NYU Law School's nonpartisan law and policy institute. And in a landscape in which disproportional representation and diluted electoral autonomy reign, the burden of gerrymandering tends to fall particularly heavily on African American and other minority communities. I should know: I’m the first African American ever elected to Congress from the state of Wisconsin, home to the most extreme gerrymandering in the country — despite generations of African American residents in Milwaukee and throughout the state. Since the 18th century, African Americans have been an important part of the Badger State tapestry. They put their lives on the line to help slaves escape to Canada through the Underground Railroad, fought in Company F of the 29th Infantry Regiment of U.S. Colored Troops during the Civil War, manned Milwaukee’s factories and supported our state’s industrial workforce in the 1920’s and beyond. Without the Supreme Court ruling in our favor this year, Wisconsinites will continue to find themselves without equal representation in their state government, which will inevitably fall hardest on the backs of communities of color. For example, while the African American population in Wisconsin has increased by roughly 23,000 since 2010, the number of African American representatives in the state capital of Madison has only decreased. And despite being a part of the second largest and fastest growing racial minority in Wisconsin, only two Latino representatives serve in our legislature today. When one group’s voting power is corrupted, it corrupts our entire electoral system. Wisconsinites and residents across the country deserve the opportunity to have a state government that mirrors the diversity of its communities, not the diversity of the Mayflower. Beyond the implications for minority communities, this Supreme Court case revolves around the ability for Wisconsinites to elect the representatives of their choosing more generally. In 2012, Wisconsin Republicans manipulated our districts in order to guarantee their electoral supremacy for years to come, regardless of the make-up of voters in the state or their political preferences. And so, despite Wisconsin Democratic candidates pulling in nearly 200,000 more votes than their Republican contenders in 2012, Republicans secured 60 of the 99 seats in the State Assembly. Last year, a three-judge panel ruled that those newly redrawn districts discriminated against Democrats and violated their constitutional rights by drowning out their voices at the ballot box. This fall, the Supreme Court heard some of the most baffling arguments in defense of those districts in Gill v. Whitford. The cringe-worthy answer not only baffled Justice Sotomayor and other legal observers, but also revealed a shocking lack of awareness about the popular understanding of gerrymandering among the voters most affected by it. Make no mistake: Communities of color, particularly in Wisconsin, have never had a problem understanding who is and who isn’t in power. Communities of color, particularly in Wisconsin, have never had a problem understanding who is and who isn’t in power. 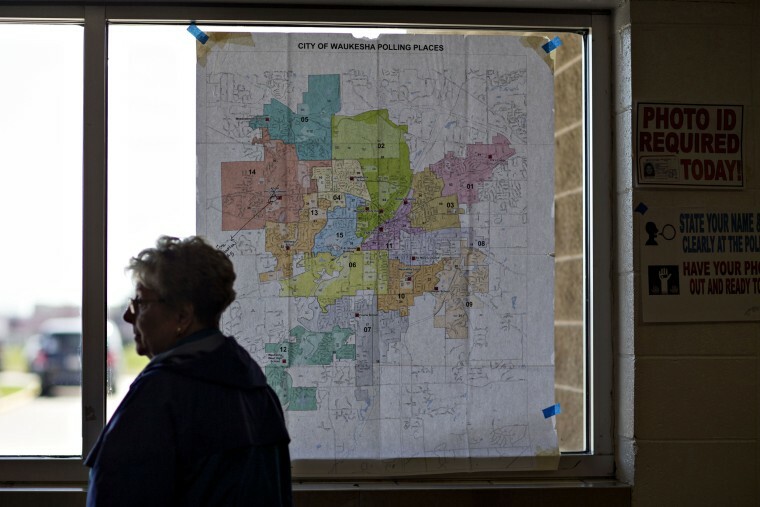 Redrawing district boundaries isn’t new — it is required by law, to ensure that population and demographic shifts are accurately represented in Congress — nor is gerrymandering utilized exclusively by Republicans. But the issue at hand is intent: Redistricting becomes gerrymandering when voters are packed, stacked and cracked to amplify certain voices and silence others. I have been on the front lines in the battle against extreme gerrymandering for quite some time, both as a Wisconsin state senator and as a member of the U.S. House of Representatives. In 2012, I joined local elected officials and immigrant rights advocates in a different gerrymandering lawsuit against efforts by Wisconsin Republicans to dilute a prominent Latino district on Milwaukee’s South Side — a community I proudly represent in Congress — by splitting it in two. A three-judge panel, two of whom were appointed by Republican presidents, ruled the assembly districts to be unconstitutional as they violated the Voting Rights Act by targeting my Latino constituents. Take it from retired bank robber Clay Tumey: If you want to rob a bank without getting caught, keep your mouth shut. He’s right: Secrecy is a vital component in any successful heist, and the same can be said when you’re trying to steal an election. 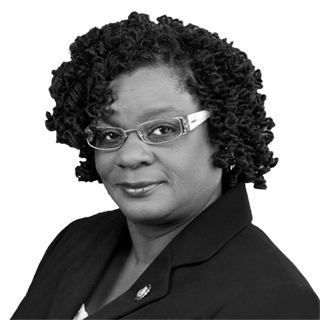 Congresswoman Gwen Moore was elected to represent Wisconsin’s 4th Congressional District in 2004, making her the first African American elected to Congress from the State of Wisconsin.